Voice instructor Andrea Olsen comes to Sandpoint to work with Conservatory students on prepared literature. Students will present a prepared piece. Participation in this master class is limited, but there is space in the audience for learning. We encourage the public to attend ($10 suggested donation for general audience). Participant fee is $15, free for honors students. Call MCS at 208.265.4444 for more information. Andrea Olsen, soprano, holds a B. M. in Voice and a M.A. in Music. She has been on the music faculty at North Idaho College since 2009 and Spokane Falls Community College since 2014. She is the soprano soloist at the Cathedral of Saint John the Evangelist and has performed with the Spokane Symphony, Spokane Opera, CDA Opera, Bach Festival, Connoisseur Concerts, Spokane Choral Artists, and Spokane Kantorei. Andrea is CCM (Contemporary Commercial Music) certified and her notable musical theater roles include Patsyin “Always, Patsy Cline,” Witchin “Into the Woods,” Lilyin “The Secret Garden,” Christinein “Phantom,” Cathyin “The Last Five Years,” Florencein “CHESS,” Mabelin “Pirates of Penzance,” Mariain “West Side Story,” and Fantinein “Les Misérables”. Andrea is a frequent adjudicator and clinician for music festivals in Eastern Washington, Northern Idaho and Western Montana. Celebrate with over 100 local Music Matters! students for a concert representing Music in Nature and the Nature of Music. These young musicians are part of the Conservatory’s after-school fine arts initiative, which brings music into the schools all year long. You won’t want to miss our orchestras, choirs, and percussion troop perform. Bring the whole family and enjoy watching young performers. The concert is a one hour presentation and appropriate for the youngest of listeners as well as adults. Tickets are $5/Available at MCS office or the door. Children 5 and under are FREE. Adjudication and evaluations for our students at MCS. Join us for this talented show comprised of the very best of MCS. Our hardest working and highest achieving students bring their talent to the stage of the historic Panida Theater. Come watch these talented young musicians and witness the best of their repertoire. Tickets are available at The Music Conservatory of Sandpoint, 110 Main Street (208.265.4444), or at the Panida the night of the event, $10 adults, $5/ Youth 18 & under. For more information visit us at sandpointconservatory.org, or on Facebook at Music Conservatory. Concert pianist and piano teacher Peggy Reich returns to Sandpoint for her second performance, hosted by the Music Conservatory of Sandpoint. Ponder this…how does one hear Judaism in music? How do you hear reflections of a religion or a culture? This will all be explored in the music of composers of Jewish descent. Concert pianist and piano professor, Peggy Reich, is returning to Sandpoint for a second performance hosted by the Conservatory. Tickets are available at MCS and at the door on the night of the event. $15/ $5 students, 6 and under - free! Join renowned pianist Peggy Reich for an exciting master class designed as a learning opportunity for intermediate and advanced piano students. Ms. Reich began her piano studies at age 5 at The Hoff Barthelson Music School in New York, and continued through her teens with Baruch Arnon of the Juilliard School of Music. With increasing dedication to her music, she enrolled in the Jacobs School of Music at Indiana University and studied under Menahem Pressler (The Beaux Arts Trio) and Dr. Joseph Rezits, eventually being awarded a degree in piano performance. The Music Conservatory is thrilled to host this esteemed visiting artist. The class is 2 hours with each student receiving individual instruction. We encourage our students to attend the class, viewing is open to the public. Participant Cost $35, general public suggested donation of $5. Call MCS at 208.265.4444 to enroll. End of semester student recitals will be held two consecutive evenings, with performances beginning at 4 p.m. and 6 p.m. both days. There will be a brief theater performance between shows on Thursday at 5 p.m. The public is invited to attend this free event. The Music Conservatory’s annual Christmas Concert will include Amahl and The Night Visitors from Menotti, a Children’s Opera, as well as the Bel Canto Opera company performing excerpts from Saint Saens. Bring your children along for a gingerbread house building event and sing along caroling following the performance. First Lutheran Church, 526 Olive Avenue. Donations welcome. The El Sistema Music Matters! Youth Orchestra and Choir groups will play Christmas music at the Sandpoint Branch of the EBCL in the Multi Purpose room. Bringing music to the community! The Music Conservatory hosts its annual Fall Serenade Concert and dessert auction to benefit all MCS Scholarship Programs, including tuition assistance, Music Matters! after school outreach and Honors Programs. The concert will feature works by the great masters, performed by Music Conservatory artist instructors. Join us for an appetizer and wine reception before the concert and bid on one of our outrageous desserts (donated by local restaurants and pastry chefs). Reception begins at 6 p.m., concert begins at 7 p.m., no host bar. Tickets $20 adults, $5 MCS students and faculty. Enjoy classical music to kick-off the holiday season. Music Conservatory students and staff will play at the Christmas Fair at the Bonner County Fairgrounds. Soprano Claudia Moots will be performing works by Schubert, Bach and Handel. Claudia has been studying under Brenda Rutledge of the Music Conservatory of Sandpoint for 4 years. She will be joined by Caren Reiner on piano and Alyce Ispirescu, soprano. This recital will take place at the First Presbyterian Church, 417 North 4th Avenue in Sandpoint. Free Admission. Jointly taught by Voice Department Instructors of MCS, this master class will focus on Italian diction. Participant fee is $15, free for honors students. Call MCS at 208.265.4444 for more information or to enroll. Join us for this exciting end of camp performance at the Panida Theater. Our International Youth Orchestra Summer Camp participants will be live on stage with Sandpoint’s favorite twins, The Shook Twins, for this concert. Enroll in our camp & join the fun onstage, or come to watch! Violinists of all ages are encouraged to learn music in new ways, by ear and tablature, to catchy traditional fiddle tunes! All students will participate in an outdoor performance at Farmin Park on Saturday, August 4, directly following the camp. Come join the fun! Students will have the opportunity to work with Ms. Hatch in private lessons. Please call 208.265.4444 for more information or to enroll. $125/student, sibling discount available, 2nd child $100, 3rd child or more $50 each. Participants in our International Youth Orchestra Camp will receive a 50% discount. The Music Conservatory @ Evans Brothers, a featured non profit event. Join Evans Brothers as they host the Music Conservatory of Sandpoint as their featured non profit for the month of July. Check out The Music Conservatory of Sandpoint's mission and vision on display at Evan's Brothers while enjoying your favorite beverage.  On July 21st the Music Conservatory will provide live classical music, during this very special day 15% of all proceeds will be donated to the Music Conservatory of Sandpoint! Thank You Evan's Brothers! Join MCS for an afternoon of music and performance! Our Summer Camp Highlights production runs from 4-7 pm at the Heartwood Center. Catch all three hours of fun, or come and see your particular camper showcase their talent. Theater students will perform skits from Alice In Wonderland that they have prepared throughout the week followed by vocal performances featuring soloists from our choir camp. MCS piano camp participants will also be presenting their repertoire. This is a free event and the public is welcome to join. Please call 208.265.4444 for more information. Sign up today to make sure your children get the chance to advance their skills beyond this galaxy. All camps are outer space themed! It is always fun to pretend or become someone else, if even for a moment. Learn to stand onstage and perform for an audience while having fun. Plus, connect with other kids who share your same passion for the creativity of the stage. Camp ends with a performance. If your child would like to learn to play a duet, or participate as part of a piano ensemble this camp is for them. Sign them up for this versatile group style piano class. Campers will perform at a capstone piano concert on July 20. Teacher recommendation required. July 16-20, from 1:00 to 3:00 p.m.
Singers will make new musical friends, while improving their singing skills. They’ll learn to sing in a variety of musical styles, with harmonies, and perform in a final celebration concert at the end of the week. August 6-10, 9 a.m. to Noon or 2:30 p.m. Your child will want to join us for the 6th annual MCS Summer Youth Orchestra Camp. This year features the return of guest conductor (our executive director, Karin Wedemeyer calls him “the return of the Jedi”) Dr. Philip Baldwin, Director of the Spokane Youth Symphony. Bringing together regional and international musicians from Mexico, this youth orchestra also reaches across borders. Daily practice, advanced ensembles, and master classes culminate in a finale concert on August 10 at the Panida Theater. Join us for this talented show comprised of the very best of MCS. Our hardest working and highest achieving students bring their talent to the stage at the historical Panida Theater. Students have been picking up credentials throughout the northwest this season, with performances at the Lionel Hampton Jazz Festival at the University of Idaho and much more. Come watch these talented young locals and witness the best of their repertoire. Tickets are available at The Music Conservatory of Sandpoint, 110 Main Street (208.265.4444), or at the Panida the night of the event, $10 adults, $5/ Youth 18 & under. For more information visit us at sandpointconservatory.org, or on Facebook at Music Conservatory. Open to public observation. Mr. Moody will work with individually with a few students on prepared pieces. Call MCS at 208-265-4444 for more information. Celebrate with over 100 local Music Matters! students as they perform the works of Tchaikovsky – part of the Conservatory’s after school initiative which brings music into the schools all year long. You won’t want to miss our orchestras, choirs, and new this year – percussion troop. Bring the whole family and enjoy watching young performers. The concert is a one hour presentation and is perfect for the youngest of listeners as well as adults. Tickets are $5 and are available at the MCS office or at the door (Panida Theater) the night of the performance. This opera experience embarks on a journey to find the illuminous light. Journey of the Light is a collaborative performance with the Pend Oreille Chorale under the direction of Mark and Caren Reiner, and features dancer Autumn Whitley and cellist Sam Minker. Come enjoy this continuation of Bel Canto’s 2016 performance, from Dark to Light. Tickets will be available at The Music Conservatory of Sandpoint, 110 Main Street, or at the door the night of the performance, $15/adults, $10 youth 18 & under. For more information visit us at sandpointconservatory.org, or on Facebook at Music Conservatory. Listen to master Pianist Vytautas Smetona, joining us from Cleveland, Ohio. Vytautas debuted in New York at Town Hall, and has been playing for over forty years. Audio Magazine declares Vytautas displays “Fantastic technique, and better than that, a big concept of his music.” Tickets are $15 each and are available at The Music Conservatory of Sandpoint, 110 Main St. or at the door the day of the concert. Tickets will be available at The Music Conservatory of Sandpoint, 110 Main Street, or at the door the night of the performance, $15/adults, $5 youth 18 & under. For more information visit us at sandpointconservatory.org, or on Facebook at Music Conservatory. Join us for this wonderful holiday children's opera! A combination of drama and music created for family entertainment. Featuring children from our Music Matters! after school outreach programs as well as many other student performers. Performance followed by a cookie and hot cider reception. Fun for all! Suggested donation of $10. The Music Conservatory host's its annual Fall Serenade Concert and dessert auction to benefit all MCS Scholarship Programs, including tuition assistance, Music Matters! after school outreach and Honors Programs. The concert will feature works by the great masters, performed by Music Conservatory artist instructors. Join us for an appetizer and wine reception before the concert and bid on one of our outrageous desserts (donated by local restaurants and pastry chefs). Reception begins at 6 p.m., concert begins at 7 p.m., appetizers included in the price of the ticket, no host bar. Tickets $20 adults, $5 MCS students and faculty. Support our Scholarship programs! Contact us at 208.265.4444, sandpointconservatory.org, or email mcs@sandpointconservatory.org. Like us on Facebook for more event updates and class specials. For the Love of Fiddle; Fiddlin' Around! A workshop with Ashley Dreyer, a U.S. Northwest Regional Contest winner. Do you play violin and want to expand your repertoire? Come to the Music Conservatory of Sandpoint's For the Love of Fiddle; Fiddlin' Around! Workshop. Violinists of all ages are encouraged to learn music in new ways, by ear and tablature, to traditional fiddle tunes in various genres. Jamming skills and etiquette are taught, encouraging students to play with other musicians. Students will learn about the many different styles of fiddling - such as contest fiddling, bluegrass, swing, celtic, and more. Students will play back up techniques and fun show tricks, culminating in an end of workshop performance! Every student will walk away from this workshop able to play at least one fiddle tune, opening up a whole new world of music. Join the fun! Fiddle workshop cost is $35/one day or $60 for both, you may register for one day or both! View link for more information. Call MCS at 208-265-4444 to enroll.